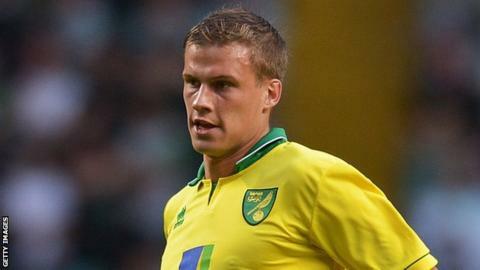 Norwich defender Ryan Bennett has been charged by the Football Association for comments made on Twitter. The 23-year-old has been accused of using "abusive and/or insulting and/or threatening words" on the social networking site. He has until 16:00 BST on Friday to respond to the charge. Bennett closed his account on Tuesday after tweeting: "Being charged by FA, for replying to someone coming for me, that's the reason so bye bye all." He added: "Officially going to delete twitter! Seems you can't say what you want on here, public can say why [what] they want bit [but] seems I can't reply!" Bennett is understood to have been involved in heated exchanges with football supporters through the social networking site. The Canaries have confirmed he will be disciplined internally, but the club will make no further comment.